Onions brings tears to ours eyes when we cut it. But this vegetable is very nutritious and good for health and can relieve a number of diseases. So, one should always include onion in their diet for healthy lifestyle. Boost immune system: Onion boosts your immune system because of the phytochemicals in the vegetable which improves the working of Vitamin C in the body. Prevents Cancer: The vegetable is good source of the strong antioxidant vitamin C that helps to combat the formation of free radicals that causes deadly diseases like cancer. Good for diabetes: Onion is good for diabetes as it increases insulin in the body and also controls the sugar levels in the blood. 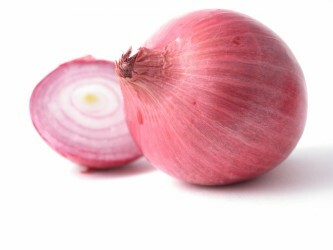 Improves digestive system: Onion improves the digestive system by increasing the release of digestive juice. Good for skin: Rich amounts of antioxidant like vitamins A, C and E in the vegetable makes your skin glow and healthy. So one should include onion in their daily diet to make their skin healthy.